The V-Strom 250 is equally at home in city traffic as the open road. This new model delivers plenty of power and easy to control low to mid-range torque. The 248cc parallel twin engine that powers the V-Strom 250 has undergone thorough analysis and optimisation to maximise low- to mid-range torque and provide a powerful ride that features ease of control. The overall efficiency achieved also helps realise high levels of fuel economy and clean performance. 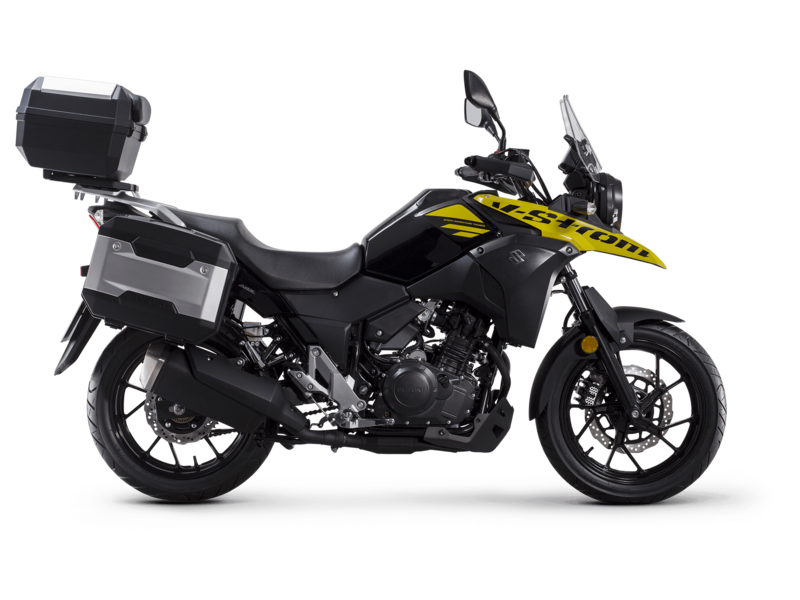 With a full tank of fuel, the V-Strom 250 has a riding range of over 310 miles*. The V-Strom 250 protects its rider from the elements with a compact windscreen that benefits from repeated wind tunnel testing to optimise its shape, providing highly effective shielding for a more comfortable ride.